Fender gives bassists of all levels a solid amp that can handle anything. 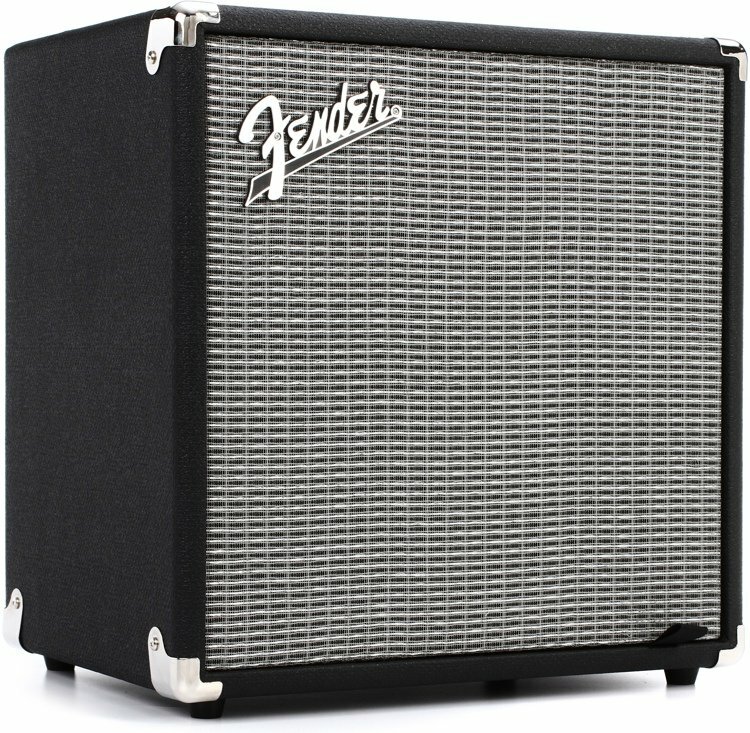 Plug into the Fender Rumble 25 for serious bass tone in a compact package! This black beauty offers a basement-friendly 25 watts, complete with overdrive, so you can bring the perfect amount of crunch into your sound.